Whether or not Paul Walker died from street racing is still up for debate, but one thing is clear: street racing is a very serious problem that happens a lot more than you think. 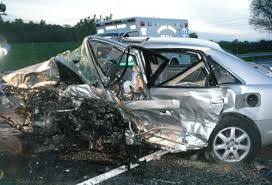 Out of the 122 crashes (from 2001 to 2010) caused by street racing, 153 people were killed, according to USA Today. That means that most accidents from street racing end with at least one person dead. The scariest part is that the true number of accidents from street racing isn’t even known. If the driver dies, it is hard to pinpoint street racing as a cause (instead of just speeding), as evidenced by Paul Walker’s tragic death. It all comes down to the adrenaline rush that the drivers get when they push the limits. The risk of cruising at speeds that are not even recordable on all odometers pumps the blood through their veins like very few things can. The main demographic for street racing is young males between the ages of 16 and 24, so they likely lack the life experience and knowhow to truly understand the risks involved. They think they are invincible and that they are racing the right way. Why not just go to a track? Yes, there are racetracks open for people to safely feel the thrill that only racing can provide, but they usually charge a steep fee, and they often control who can race each other (which is not what young males want). Not only that, but they are only open for very limited hours and, due to their unpopularity, are getting harder and harder to find. Which leaves the street as the only viable option. While many racers aim for deserted streets during desolate hours, not all street races are planned. Often times, two people will just be at a stoplight when the urge to race strikes them. This is when it really gets dangerous. Of course, any driving at immeasurable speeds is dangerous, but when other automobiles, bicyclists, and pedestrians are around, these dangers are increased dramatically. Innocent people are killed every year by “invincible” drivers who felt the need for speed.